7 min walk from the Krakow main station & the bus station. Good price, neatly organised. The kind staff helped me to book online the Oswiecim museum, and gave me a proper info how to get there, so I could visit there in the cheapest way. In addition, this good price included breakfast! Therefore, I met a few long time stayers, with whom it was fun to hang around. It's a awesome. It has breakfast free included but main thing is it's near to the center. Only four mins walk from main square. Good location, 10 – 25 min walk to everything. The atmosphere was good BUT had a strange variety of people. I know this isn't the hostel's fault but there were a lot of older people and creepy drunkard men. We had some really good nights there though, met some Aussies and a violin player from Gdansk (he played us some songs on Christmas Eve! So lovely.) Good to know: Free breakfast (not very nice), cooking facilities available, laundry costs 10zł, 5zł towels. 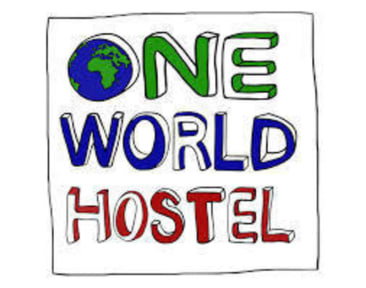 Great hostel and unbelievable value for money! Good location in the centre of Krakow, facilities are great and everything you could ask for. Security is also excellent, there’s the outside door code, inner door code, key to room and key to locker. Only negative I can think of is that the internet is barely useable at evening, maybe just cause there was so many people using it. Second time here and it was great this time as well. Clean, secure, friendly staff. Free breakfast every morning. About a five minute walk from the central station! The place is centrally located.Walking distance to all major attractions. The breakfast included is also nice. The only issue was the mattress in the room was really thin and you can feel the mesh under and the best squeaked a lot. Left much to be desired. It got the job done but nothing extra or interesting experience wise. If you’re looking to sleep and leave for cheap then good, just don’t expect more. Just a place to stay. Average breakfast. Not clean. Very good location. Great staff.